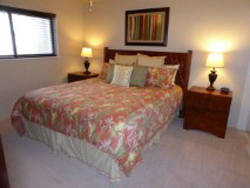 $200 Deposit required at booking. 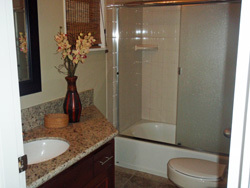 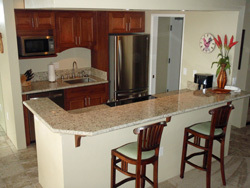 Ask about our extended stay discounts and last minute specials!!! 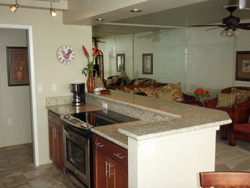 Completely Remodeled Fall of 2011 with new flooring, cabinetry, granite slab counter tops, stainless steel appliances, fresh paint and "Hawaiian-Style" furnishings. 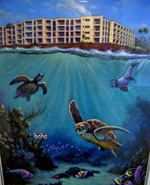 3rd Floor Ocean Front Unit with views to the South and West. 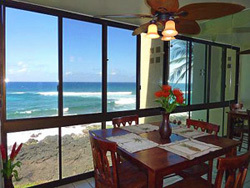 Private lanai with lounge chairs to watch the sea turtles swimming below, seasonal whales, surfers and breathtaking sunsets. 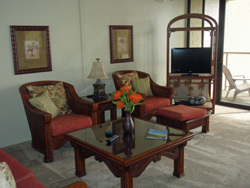 32" Flat Screen TV's in both the living area and bedroom, DVD players, CD players and I-Pod Docking Station. 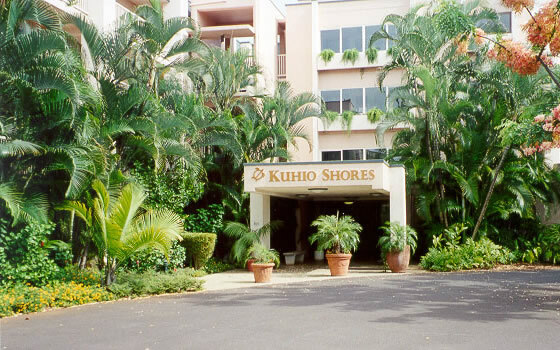 Kuhio Shores complex provides Free Parking for registered guests, Elevators, an outdoor Barbecue Grill and coin operated Laundry Facilities.